Nintendo of America have confirmed plans to release the Wii U ZombiU Deluxe Set across North America and Canada on February 17th. This includes the contents of the standard Wii U Deluxe Set, with an additional copy of ZombiU, black Wii U Pro Controller, collectible artwork booklet and developer commentary. Further to this, a downloadable copy of Nintendo Land is also provided. Remember that you’ll also be automatically enrolled in the Digital Deluxe Promotion, allowing you to receive 10 percent back in points for each purchase you make through the Wii U’s Nintendo eShop. These may then be later exchanged for Nintendo eShop vouchers. 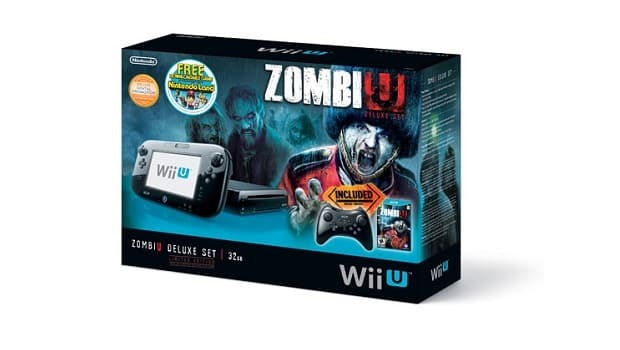 The Wii U ZombiU Deluxe Set will be priced at $389.99, saving consumers $70 if you had bought everything separately. I thought they were separate? You’ll have to excuse my lack of geographical knowledge if not!